Net migration (the difference between emigration and immigration) in the UK reached 336,000 in the year ending June 2015; the highest estimate of net migration in any 12 month period (16,000 more than the previous highest estimate in June 2005). Net migration has exceeded 100,000 a year every year since 1998. In 2014, 13% of those migrating to the UK were British Nationals, 32% were nationals of other EU countries and 45% were non-EU nationals. Work and study were given most frequently as the reason for migrants’ entry.Alongside these longer-term trends, more than 487,000 migrants, a mixed flow of migrants and refugees, have arrived at Europe’s Mediterranean shores since January 2015, the highest number since record-keeping began. How can understanding the dynamics of migration (determinants and drivers), migrants’ origins and experiences, help policy-makers in Europe and in the UK to respond appropriately to increasing international migration? What are the impacts – positive and negative – of increasing net migration on the UK at different scales – national and local? 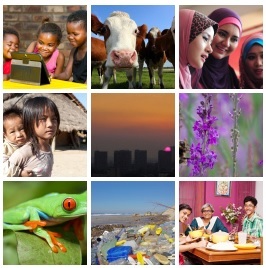 What are the realities of the impacts on productivity, jobs and services? Finally, with the number of migrants entering the UK unlikely to decrease, at least in the near to medium term, how can the UK adjust to the new reality of migration in the hundreds of thousands each year, ensuring the best possible outcomes for the UK’s economy, society and for migrants themselves? Find out more about the context for this event on the blog. You can listen to an audio recording of the event here. “>Visit our Storify to read a summary of the 21CC Policy Forum, along with a summary of the parallel 21CC Public Discussion on ‘Integrated Britain?’ held on 15 March 2016. What contributions do two of our speakers, Professor Christina Boswell and Professor Heaven Crawley, think that geography and social sciences can make to understanding debates around Europe’s migration crisis? What are their recommendations for policy-makers? Watch for their views on ‘Europe’s Migration Crisis’, recorded at the RGS-IBG immediately before the event. David Walker is a contributing editor to Guardian Public and a former Managing Director, Public Reporting at the Audit Commission. Until 2016, David was Head of Policy at the Academy of Social Sciences. David has had a distinguished career in policy and communications, as a well-known journalist and media commentator, spanning the Times, Independent, Guardian and BBC. 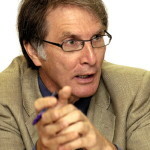 David is chair of the Governing Board of the ESRC cohort study, Understanding Society, and amongst other Board roles is Non-Executive Director and Deputy Chair of the Central and North West London NHS Foundation Trust. 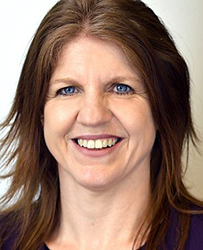 Heaven Crawley is Professor and Chair in International Migration at the Centre for Trust, Peace and Social Relations at Coventry University, where she leads research on migration and human security. Heaven was Head of Asylum and Migration Research at the Home Office from 2000-2002 and Associate Director at the Institute for Public Policy Research, before establishing the Centre for Migration Policy Research at Swansea University (2006-2014).Heaven has served as specialist adviser to the Home Affairs Committee and Joint Committee on Human Rights. She is a patron of the Baobab Centre for Young Survivors in Exile and Asylum Justice, and a trustee of Migrant Voice. Max is Senior Birmingham Fellow (Regional Economic Development) at Birmingham Business School, and is a Deputy Director of the What Works Centre for Local Economic Growth. He is an economic geographer with a background in public policy. His research focuses on urban economic development, in particular the economics of immigration and diversity; innovation systems and tech clusters; and public policy for cities, especially policy design and evaluation. 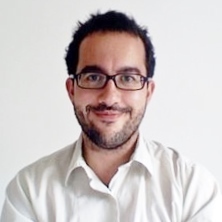 Max has over 15 years’ public policy experience in think tanks, consultancy and government, including at the Department for Communities and Local Government (DCLG) as an Economic and Social Research Council-DCLG Senior Policy Adviser. Max also co-founded the Centre for Cities, where he ran the research programme for the Centre’s first three years. 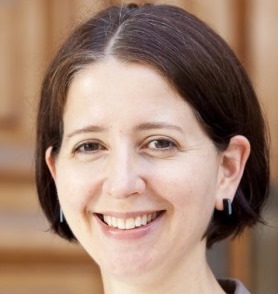 migration and public policy issues.Madeleine’s research interests include labour migration, the economic impacts of migration policies, and immigrant integration. She has also done comparative research on government policies towards immigrant investors, illegal employment, immigration in trade agreements, and the recognition of foreign qualifications. Before joining the Observatory, Madeleine was Director of Research for the international program at the Migration Policy Institute in Washington, DC. Christina Boswell is Professor of Politics at the University of Edinburgh. She is Co-Director of the Centre for Science, Knowledge and Policy (SKAPE), and Director of Research for the School of Social and Political Science at the University of Edinburgh. Her research examines the relationship between knowledge and public policy, especially in relation to European and EU immigration and asylum policy. Her books include The Political Uses of Expert Knowledge: Immigration Policy and Social Research (Cambridge University Press, 2009/2012); Migration and Mobility in the European Union (with Andrew Geddes; Palgrave, 2012); The Ethics of Refugee Policy (Ashgate, 2005); and European Migration Policies in Flux(Blackwell’s, 2003). She has served as consultant for the UN High Commission for Refugees, the UN Global Commission on International Migration, the British Foreign Office, the European Commission, the European Parliament and the OECD.